I’m part of an exhibit at “Oh So Good Desserts” at 261 Richmond Rd., Ottawa. Jan 10 to Mar 4, 2016. 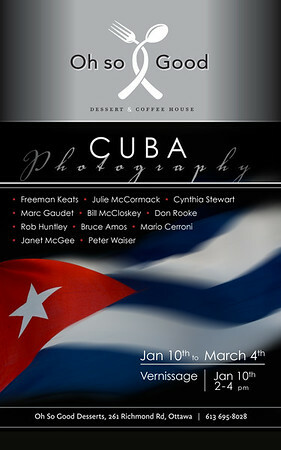 Cuba Photography – An exhibition at Oh So Good Desserts in Ottawa. 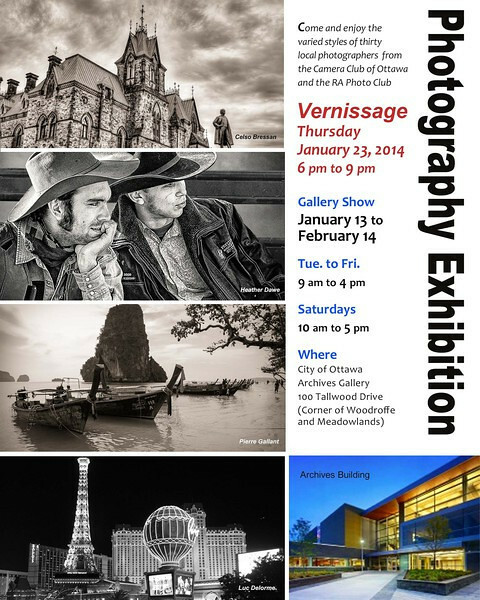 As a member of the Camera Club of Ottawa, I have two images included in the 2014 Photography Exhibition at the Ottawa Archives. 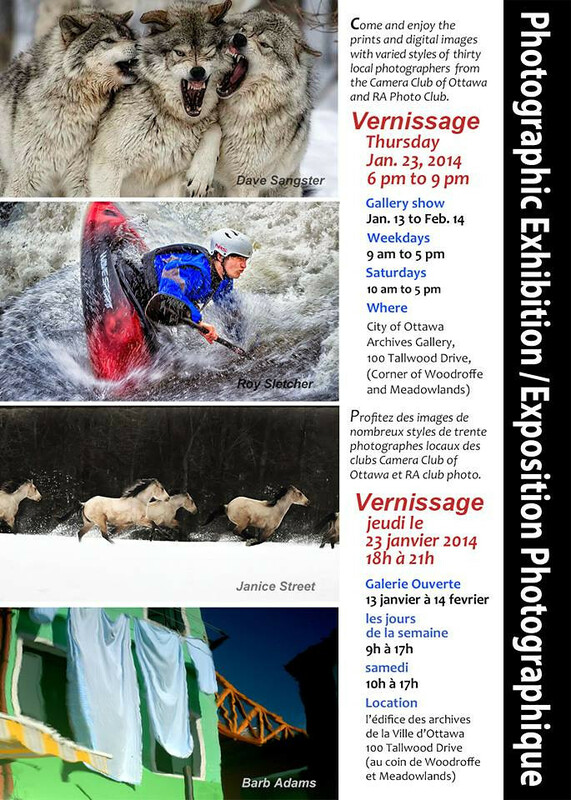 Click on one of the poster images to view the images I will have on display during this exhibition. at the City of Ottawa Archives Gallery, 100 Tallwood Drive, Ottawa. Corner of Woodroffe and Meadowlands. Saturday 10 am to 5 pm. 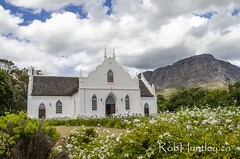 I have three images entered in this competition which are on display from April 4 to 28, 2013. Spencerville, Ontario is just off Hwy 416, between Kemptville and Prescott, Ontario. 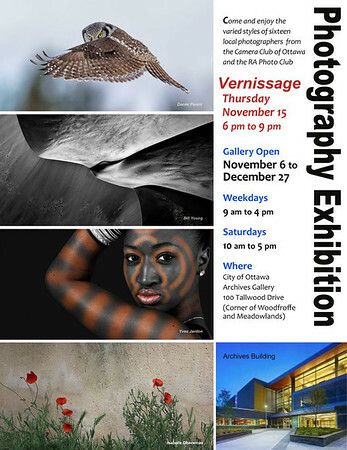 As a member of the Camera Club of Ottawa, I will have an image included in the 2012 Photography Exhibition at the Ottawa Archives. 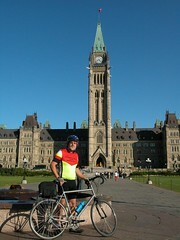 at the New Archives Building, 100 Tallwood Drive, Ottawa. Here is the image I will have on display – framed 18″ x 36″. ‘Round the Point – Pinhey’s Point Historic Site, Dunrobin, Ontario. 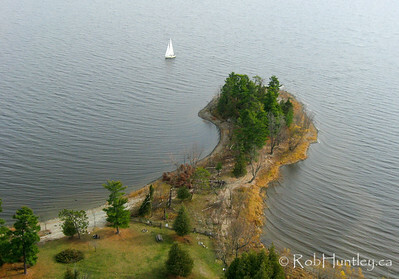 I’ll be doing a Kite Aerial Photography demonstration at the Riverfest celebration this Sunday at Pinhey’s Point Historic Site just west of Ottawa. I will have an exhibit tent where I will show equipment, explain technique, answer questions and display prints and photo greeting cards of both aerial and non-aerial photography. If the weather and wind cooperate, I may also have the opportunity to fly a kite to lift the camera equipment and thereby round off the demonstration. No guarantees on this but we can hope for a good day. This would also be a good opportunity to view my ongoing exhibit “History in the Wind” in the Pinhey’s Point Historic Site museum. Here I display framed prints of a selection of my aerial images of the site taken over the past few years. The exhibit commenced on June 17 and runs through to September 2 (Wednesdays to Sundays). and click on the events link. 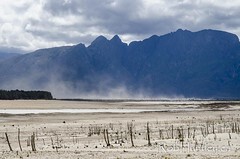 I have an upcoming exhibition in conjunction with two other photographers Louis Helbig and Glenn Upton. 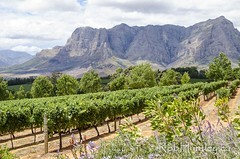 The three of us will present images under the theme “From the Ground Up” with both aerial and non-aerial images. De l’autoroute 417, prendre la sortie 138 du chemin March jusqu’au chemin Dunrobin. Tourner à droite sur la promenade Riddell. Prendre à gauche le chemin Sixth Line sur environ 5 km, jusqu’au chemin Pinhey’s Point.